Groundhog Day came and went on Sunday, and no one living in the North was surprised by Punxsutawney Phil’s prediction of six more weeks of winter. Temperatures in Iowa have lingered ten to thirty degrees below average for months, with whipping winds and slick ice at every turn. On the rare day when the weather does warm up to freezing or just above, the Midwest has been blanketed in yet another layer of snow. As winter grinds our spirits down, we stoically clench our teeth against the cold and continue about the business of living — working, playing, and of course, cooking! This cozy breakfast cereal comforts both body and spirit. You can use any gluten-free grain you like, but I think it’s especially nice made with buckwheat porridge (ground groats), or Bob’s Red Mill Mighty Tasty Gluten-Free Cereal, which is a blend of brown rice, corn, buckwheat, and sorghum. The warming ginger and other spices offer anti-inflammatory properties to start the day off right. Sweetening the porridge with sorghum syrup or molasses adds a richness of flavor truly reminiscent of gingerbread, along with iron and other essential nutrients that you won’t find in refined sugar or a stevia leaf. 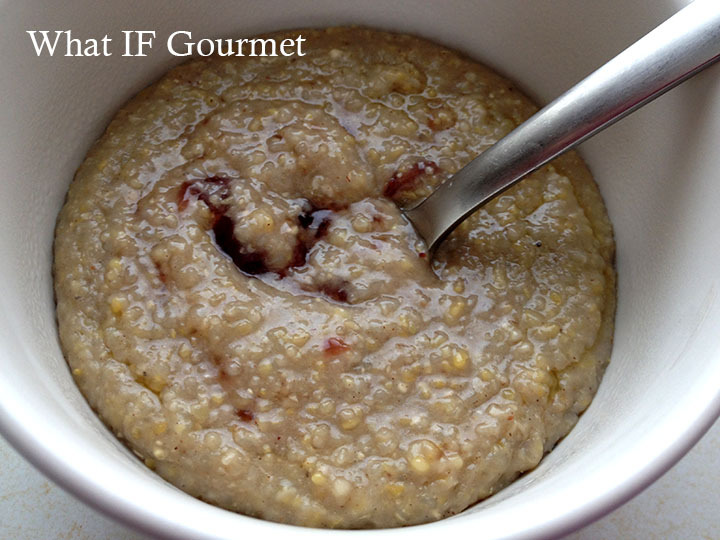 To serve, try topping this hot cereal with a spoonful of coconut oil or vegan buttery spread, or (my favorite) stirring in a swirl of strawberry or apricot jam. Then let Mother Nature bring on more winter — you’ll be ready! Combine all ingredients in a small saucepan and whisk over medium-high heat until the mixture starts to simmer. Lower heat slightly and simmer, uncovered, for 10 minutes, stirring frequently. Serve immediately with a dollop of coconut oil or vegan buttery spread and a swirl of your favorite jam, if desired. Makes 2 servings. 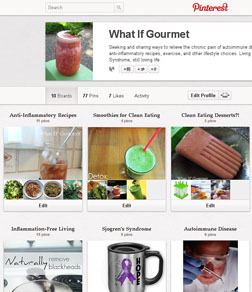 This entry was posted in Anti-Inflammatory Ingredients, Breakfast, coconut oil (virgin/ unrefined), Dairy-free, ginger root, Gluten-free, Nut-free, Recipes, spices, Vegan, Vegetarian. Bookmark the permalink. 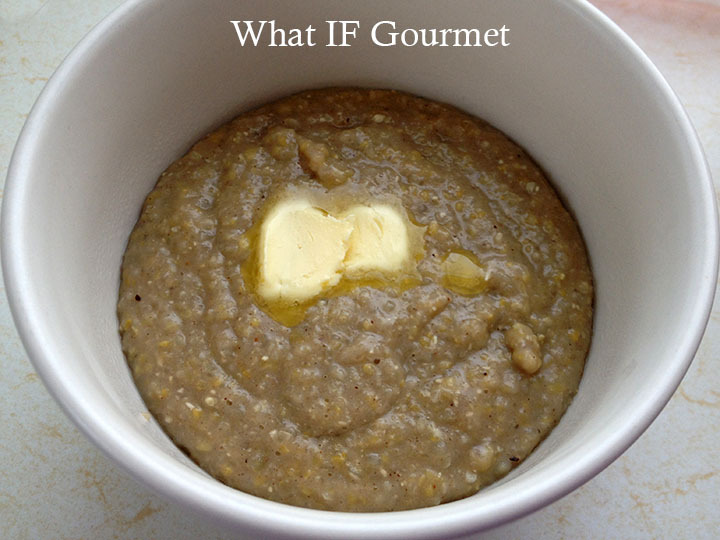 Boy do I love oatmeal – will have to be trying this one soon! I hope you like it, Ani. I see you’re in Iowa, too. Stay warm! Oh this looks great – I’m glad I stumbled upon your blog today! My go-to breakfast lately has been buckwheat/almond milk, so I’m excited to try this gingerbread-inspired one!